A direct daughter of our 10N cow that was a past donor for us. 86U is a potent producing female that is crossing with any sire we take her to. She is very moderate in stature, thick and deep as you can make them, and sound uddered. She also has the perfect dark hoof that Trump stamped his sons and daughters with. 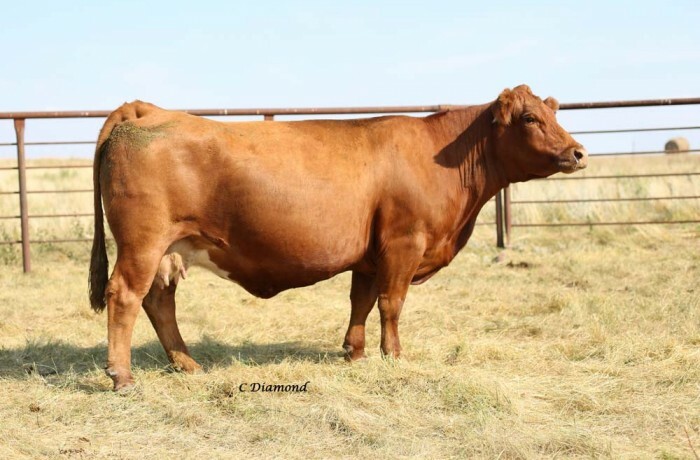 She raised a top selling Beef King son in 2012 that sold to Flittie Simmentals, SD and has a top set of Beef King, Rushmore, and Redestined calves on the ground for 2013.